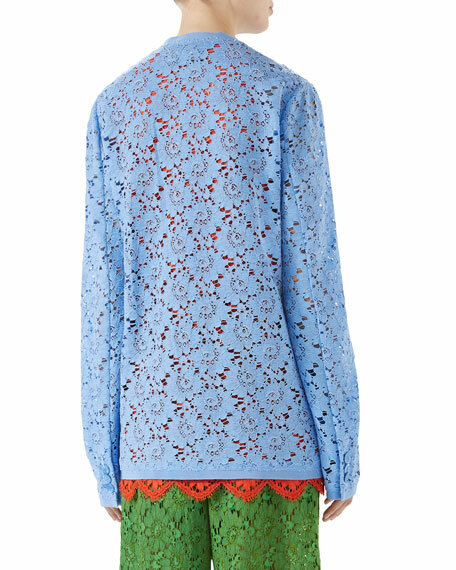 Wisteria floral leaf rebrodé lace jacket with grosgrain trim. Button front with mother of pearl buttons. For in-store inquiries, use sku #2363707.